Name Variation Karl Frederick William Meyer was also known as William. Karl Frederick William Meyer married Catharina Dorothea Elisabeth Lutterman. Karl Frederick William Meyer was born on 25 January 1876 at Sauk, Wisconsin. He died on 13 September 1957 at Sauk, Wisconsin, at age 81. Name Variation Catharina Dorothea Elisabeth Lutterman was also known as Dora. Catharina Dorothea Elisabeth Lutterman married Karl Frederick William Meyer. Catharina Dorothea Elisabeth Lutterman was born on 2 July 1881 at Sauk, Wisconsin. She died on 5 June 1958 at Sauk, Wisconsin, at age 76. Herman G. Raedel was born in 1899. He married Elda Louise Meyer, daughter of Karl Frederick William Meyer and Catharina Dorothea Elisabeth Lutterman, on 18 November 1931. Herman G. Raedel died on 13 July 1975. Married Name 4 March 1943 As of 4 March 1943,her married name was Harms. Lorene Emma Meyer was born on 18 January 1918. Lorene Emma Meyer married Martin Harms, son of August Harms and Regina C. Schacke, on 4 March 1943. Lorene Emma Meyer died on 23 January 2011 at age 93 Lorene E Harms, age 93 of Reedsburg died on Sunday, January 23, 2011 at the Reedsburg Area Senior Life Center. She was born on Jan 18, 1918 in the Town of Westfield, the daughter of William C and Dorothea (Lutterman) Meyer. Lorene and her twin sister attended Parochial School in Loganville and were confirmed on March 20, 1932 at St John Lutheran Church, Loganville. Both girls spent several years helping their parents on the farm, as well as their grandparents, the Luttermans. On March 4, 1943 Lorene was married to Martin Harms. They lived on a farm near Rock Springs where the two of them worked hard. Besides the regular farm work, they had several gardens. Lorene enjoyed raising many vegetables and beautiful flowers. After retirement, they lived in Sauk City for several years. Lorene was preceded in death by her parents; husband Martin on August 29, 1994; sisters, Emma Meyer, Elda Raedel and Irene Marion; brothers, Reinhold Meyer, Erwin Meyer and infant Edwin Meyer; and a foster son, Fred Schultz. She is survived by nieces and nephews along with other relatives and friends. Burial will be in St John Lutheran Cemetery, Rock Springs. Martin Harms was born on 9 October 1914. He was the son of August Harms and Regina C. Schacke. Martin Harms married Lorene Emma Meyer, daughter of Karl Frederick William Meyer and Catharina Dorothea Elisabeth Lutterman, on 4 March 1943. Martin Harms died on 29 August 1994 at age 79. Married Name Her married name was Marion. Irene Meyer married (?) Marion. Irene Meyer was born on 18 January 1918. Irene Meyer died on 23 October 2006 at age 88. (?) Marion married Irene Meyer, daughter of Karl Frederick William Meyer and Catharina Dorothea Elisabeth Lutterman. Delores Meyer was the daughter of Edward Gustav Herman Meyer and Theresa Amanda Repka. Delores Meyer died at died in infancy. Alvin Kaun was born on 29 December 1919 at Wisconsin. He was the son of William J. Kaun and Ella Katherina Dorothea Gade. Alvin Kaun died on 2 March 2010 at age 90 Alvin L. Kaun, 90, passed away Tuesday, March 2, 2010, in Beloit Memorial Hospital. He was born on December 29, 1919, in Village of Lime Ridge, WI, the fifth son of 14 children of William and Ella (Gade) Kaun. After graduating from Reedsburg High School, Al moved to Milwaukee, where he met Jessica C. Gooch. He then entered service on Nov. 10, 1941, and was sent overseas to England on Oct. 3, 1944. He was awarded three battle stars for campaigns with the First and Ninth armies. He served as a S/Sgt. during World War II with the U.S. Army. When he returned from service, Al and Jessica were married on May 18, 1946, at Footville Church of Christ. They were dairy farmers and raised their five children on the Gooch family farm. Jessica passed away on Feb. 3, 2008. He was a member of the Footville Church of Christ, serving as deacon and church treasurer for many years. He was preceded in death by his parents; his wife, Jessica; and brothers: Edmund, Harold, Paul, Alfred, Robert, William; and three infant siblings. He was buried after 2 March 2010 at Milton Lawns Memorial Park, Janesville, Rock, Wisconsin. 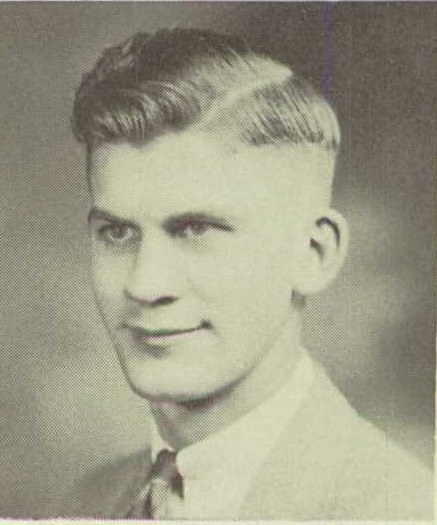 Alvin Kaun graduated in 1939 at Reedsburg High School, Reedsburg, Sauk, Wisconsin. Name Variation Robert William Kaun was also known as Bob. Robert William Kaun married Arlowene Marie Wolter, daughter of Erich R. Wolter and Emma M. Tilker. Robert William Kaun was born on 23 September 1921 at Wisconsin. Robert William Kaun died on 20 September 2006 at age 84. He was buried after 20 September 2006 at Saint Johns Cemetery, Reedsburg, Sauk, Wisconsin. Robert William Kaun graduated in 1941 at Reedsburg High School, Reedsburg, Sauk, Wisconsin. Name Variation Arlowene Marie Wolter was also known as Arlee. Married Name Her married name was Kaun. Arlowene Marie Wolter married Robert William Kaun, son of William J. Kaun and Ella Katherina Dorothea Gade. Arlowene Marie Wolter was born on 16 August 1926. She was the daughter of Erich R. Wolter and Emma M. Tilker. Arlowene Marie Wolter died on 7 November 2014 at age 88. Edmund Kaun was born on 6 March 1912 at Wisconsin. Edmund Kaun died on 30 September 1951 at age 39. He was buried after 30 September 1951 at Saint Johns Cemetery, Loganville, Sauk, Wisconsin. Paul Kaun was born on 5 February 1917 at Wisconsin. Paul Kaun died on 4 February 1981 at age 63. He was buried after 4 February 1981 at Milton Lawns Memorial Park, Janesville, Rock, Wisconsin. Alfred Kaun was born on 13 March 1918 at Wisconsin. Alfred Kaun died in August 1969 at age 51. Alfred Kaun graduated in 1937 at Reedsburg High School, Reedsburg, Sauk, Wisconsin. William Donald Kaun was born on 1 May 1925 at Sauk, Wisconsin. William Donald Kaun died on 26 March 1978 at Sauk, Wisconsin, at age 52. Married Name 26 March 1972 As of 26 March 1972,her married name was Giese. Bernadine E. Gerdes married Donald R. Giese, son of Raymond J. Giese and Anita E. Flohr, on 26 March 1972. Bernadine E. Gerdes died on 12 October 2011. Marvin Lloyd Giese was born circa 1946. He was the son of Raymond J. Giese and Anita E. Flohr. Marvin Lloyd Giese died before 2016. 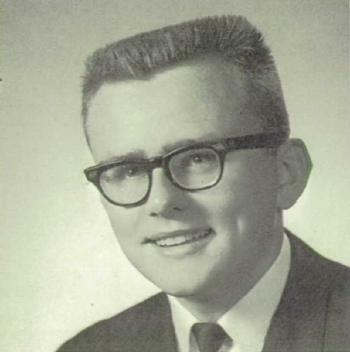 Marvin Lloyd Giese graduated in 1964 at Webb High School, Reedsburg, Sauk, Wisconsin. (?) Hamburg married Emeline Mihlbauer, daughter of William Mihlbauer and Elizabeth Leicher. (?) Haberman married Agnes Mihlbauer, daughter of William Mihlbauer and Elizabeth Leicher. Name Variation Fredrick W. Lichte was also known as F. W.
Fredrick W. Lichte married Amelia Reinecke. Married Name Her married name was Lichte. Amelia Reinecke married Fredrick W. Lichte. Married Name 5 February 1936 As of 5 February 1936,her married name was Farber. Loretta D. Lichte was born on 7 October 1915 at Sauk, Wisconsin. She was the daughter of Fredrick W. Lichte and Amelia Reinecke. Loretta D. Lichte married Evan Farber on 5 February 1936. Loretta D. Lichte died on 24 September 2007 at Sauk, Wisconsin, at age 91. Evan Farber was born on 28 July 1911. He married Loretta D. Lichte, daughter of Fredrick W. Lichte and Amelia Reinecke, on 5 February 1936. Evan Farber died on 21 December 1995 at age 84. Cyrus Mittelsteadt died before 2007. Lloyd Pearsall died before 2007. Erwin Lichte was the son of Fredrick W. Lichte and Amelia Reinecke. Married Name 1937 As of 1937,her married name was Farber. Adeline Lichte was born on 24 May 1913. Adeline Lichte married Alfred Frederick Farber in 1937. Adeline Lichte died on 13 December 2000 at age 87. Alfred Frederick Farber was born on 6 August 1907. He married Adeline Lichte, daughter of Fredrick W. Lichte and Amelia Reinecke, in 1937. Alfred Frederick Farber died on 1 December 1997 at age 90. Edmund Lichte was the son of Fredrick W. Lichte and Amelia Reinecke. Edmund Lichte died before 2007. Fritz J. Hinrichs married Maria Gade.